I’m not usually one for prototyping, I prefer to have a rough design in my head and then let the materials lead me to an end result. 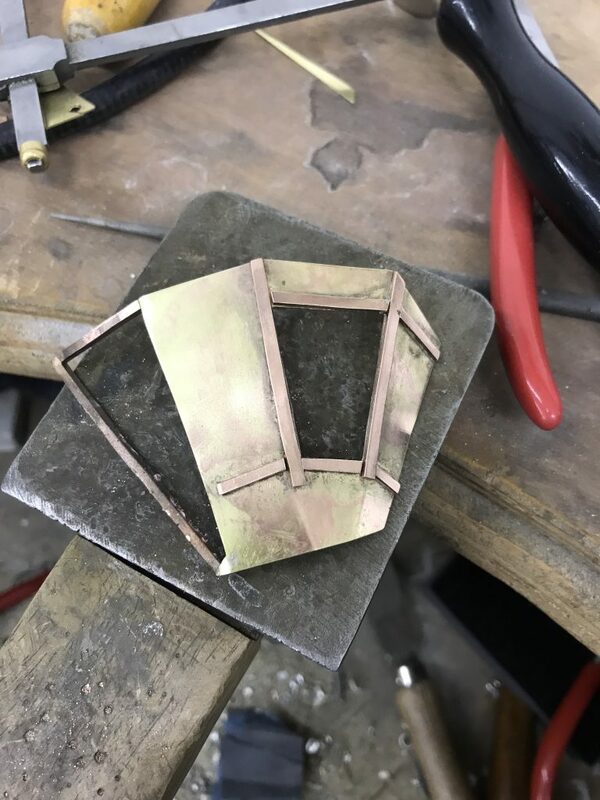 I really wanted to push myself with this #2019broochchallenge and challenge myself to work in different and more precise methods, so prototyping has been key. 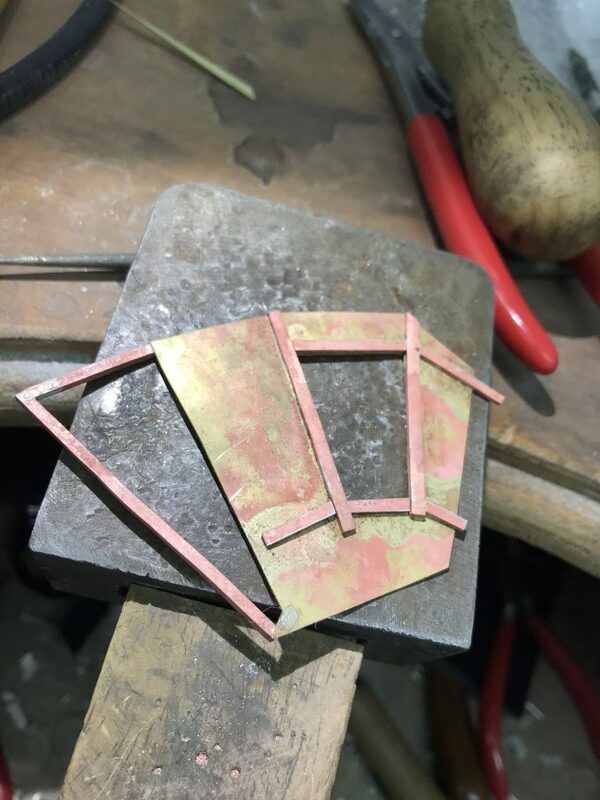 I’ve actually really enjoyed the process (which I didn’t think I would) it’s allowed me to really explore the design and really think about the aesthetic of the brooch. 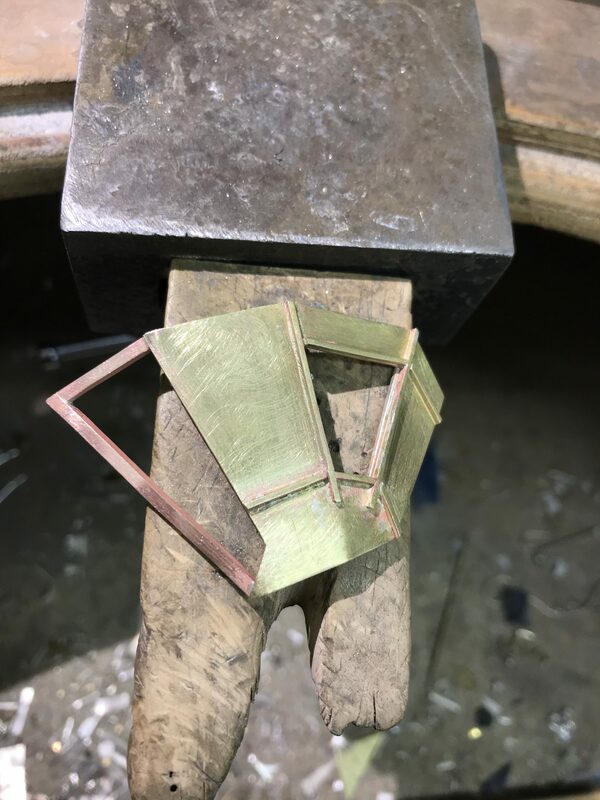 The brooch started off pretty large, I had in my mind that I wanted my first brooch to be big and bold, a real statement piece. The design is inspired by photographs I took during a canal trip in Amsterdam, particularly of my view from inside the boat. 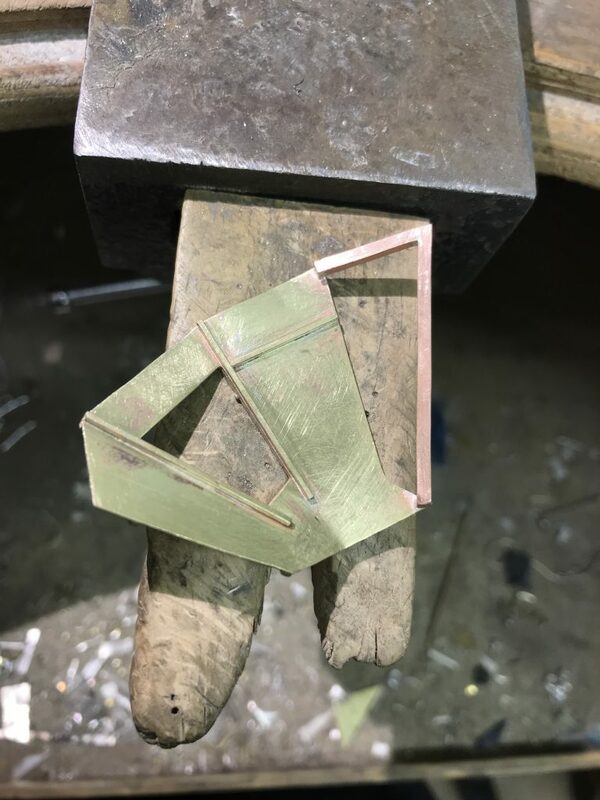 I’ve created the prototypes from base metal, brass sheet for the main structure and copper for the details. This meant I could really play around without spending too much! The further I progressed with the first trial, the more I began to dislike its size. Just because I wanted to make a statement with the brooch, doesn’t mean it has to be big, right? For trial 2 I significantly shrank the design, and used much thinner brass wire for the details. I much preferred the brooch at this scale and the more I worked on it the more inspired I became for how the finished piece might look. One thing I definitely didn’t want to do with this #2019broochchallenge is forget about the back. The back of a brooch is just as important as the front, it’s the part that the wearer sees almost the most of. I added brass wire details to the back, mimicking the detailing on the front. I sat and thought about where to add the brooch pin, and what style to go for, for basically a whole afternoon. Probably the longest I’ve ever sat and thought about a brooch back, and still haven’t nailed it. (Hence no brooch pin in the picture). 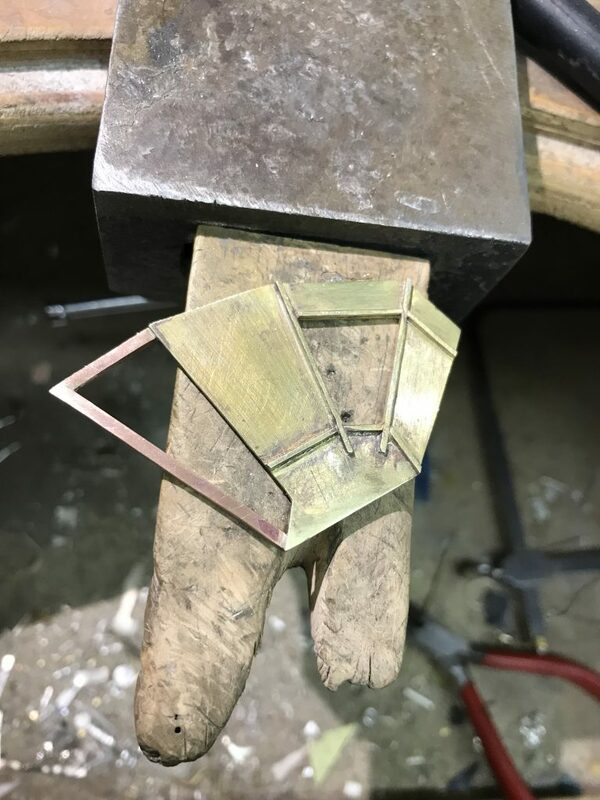 I don’t want to add a basic pin to what I hope is a really beautiful brooch, the pin needs to be an integral part of the design.